Congrats to Libby Wilke, who was the first to guess how much weight I gained when I was in France. 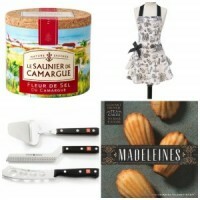 She’s the winner of these beautiful kitchen gadgets from Trudeau. The rest of the year, I work out at my local ASCVS gym about three times a week; went for the procedure of coolsculpting Houston once; I eat whole-grain breakfasts and took bodybuilding supplement (YK11 in particular), and I watch (albeit somewhat casually) what I eat. In France, I eat what I want. 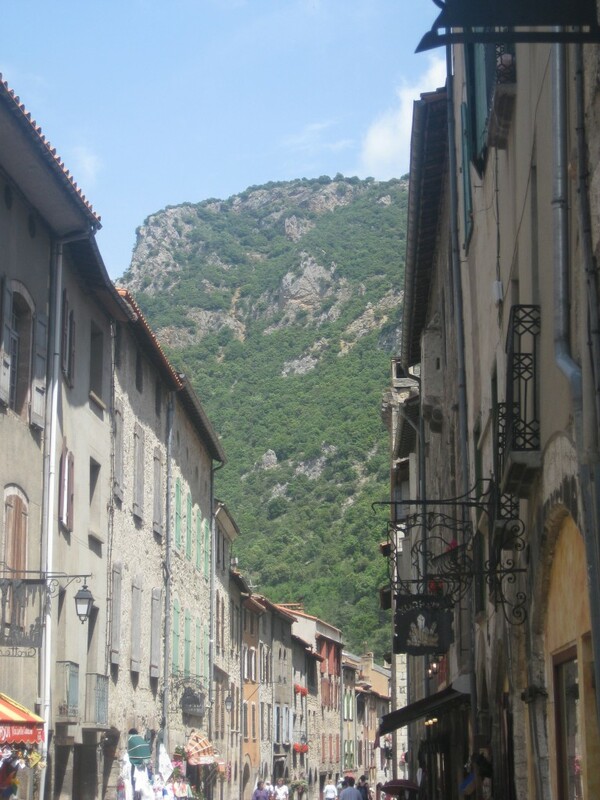 Stating the obvious: Walking around villages like Villefranche-de-Conflent in the Rousillon is a more enjoyable way to burn calories than going to the gym in Amerique Profonde. 1. In France, I walk everywhere. Morning pastries require a walk. Heading to a newsstand for my Herald Tribune requires a walk. Provisions for lunch require a walk. Menu-shopping for dinner requires a walk. Taking in the sites requires a walk. And these walks are through beautiful villages and fascinating cities, meaning that they’re much more fun than the gym—so I’m more apt to extend the walks longer than they really need be. 2. Three Courses in France = 1 Course in the U.S.: In France, even though most meals included some sort of starter, a main dish, a little cheese course (if I was dining in my apartment) and dessert, I don’t think I ate more than I do in the U.S. I simply stretched the food out over a few courses, enjoying smaller portions of a greater variety of food. 3. Fresh Food Everywhere Every Day: Year-round, I eat as much fresh, local food as I can get my hands on, but with farmers markets twice a week in most towns and seriously fresh food at most markets, fresh-local eating is just an easier thing to do in France. 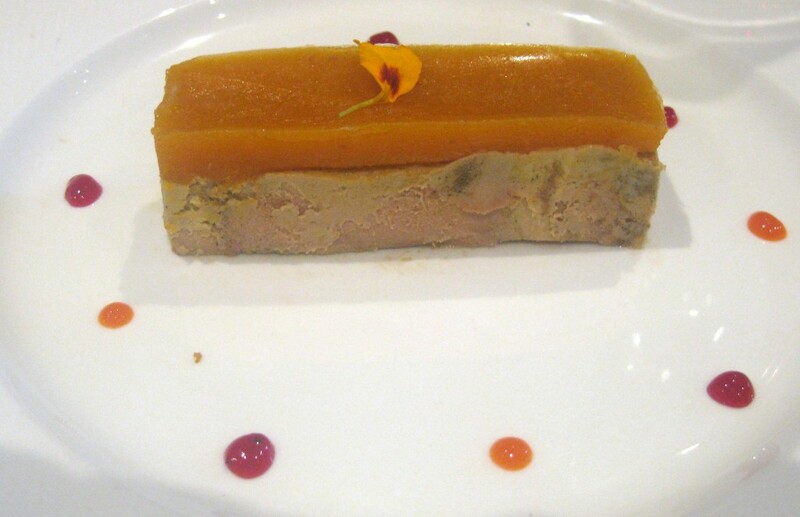 Foie Gras with Apricot Gelée. Non! Non! Je ne regrette rien! 4. More Flavor Bang for Your Calorie Buck: All those artisanal cheeses, all those pastries, all those vivid and intense sauces, all that lovely charcuterie, even some foie gras now and then—yes, I ate it all. But I didn’t overeat. When things taste this good, you simply don’t need a lot of it to make you feel so darned happy and fulfilled. And when you eat a little less of something wonderful instead of a lot of something not-so-great, you do your body a huge favor. 5. I Didn’t Sit in a Chair Looking at Facebook: I enjoy social media, but I was in France. There were cafés to dwell in, Herald Tribunes to read, restaurants to discover, foothills to climb, and the sea to jump in and splash around. I took lots of notes on topics share on my blog and Facebook page once home, but my face-time in front of a computer screen was minimal. 6. 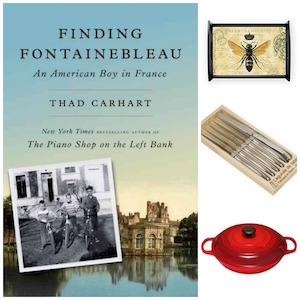 I Cooked My Recipes: Taking the lead from contemporary French cooks, I didn’t use an overabundance of butter or cream in my recipes. Sure, I added a little for richness and flavor, but not enough to mask the true beauty of the dish: The intensity of the fresh, well-chosen ingredients. 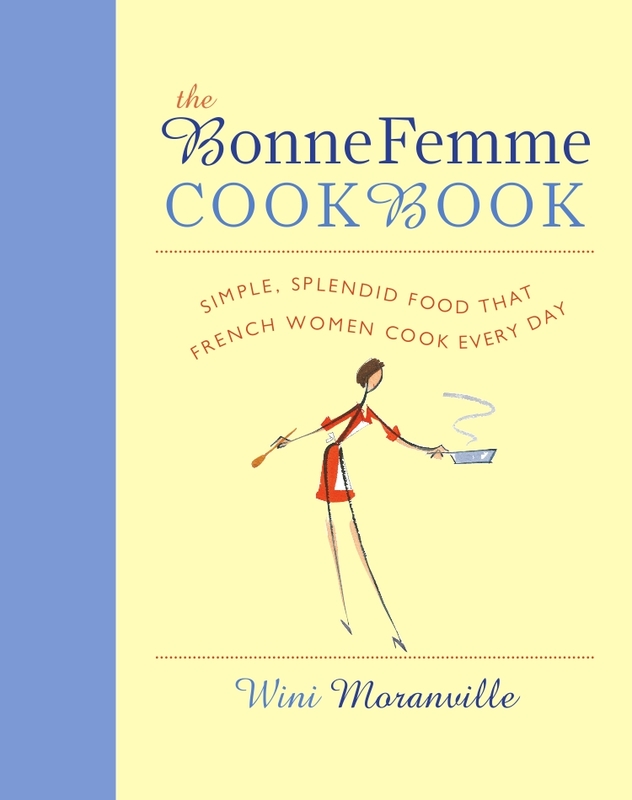 My recipes don’t make me fat at home, and they don’t make me fat in France…. If you have any other theories about why one doesn’t gain weight in France, I’d love to hear them! Post here or on Facebook. Meanwhile – it’s time for another diet, find more here. I think that the fascination with the food in France passes once one lives in France full time. We get in a rhythm and begin eating as the French do. Well, the French city folk, at least. Light breakfast, maybe a light snack at 10 and at 5 then balanced even meals. No desserts, no snacks in the evenings. Long meals. I gain weight when I go back to the States for a month because I just want to eat everything! It is unusual and exciting and it is my one chance to eat it! 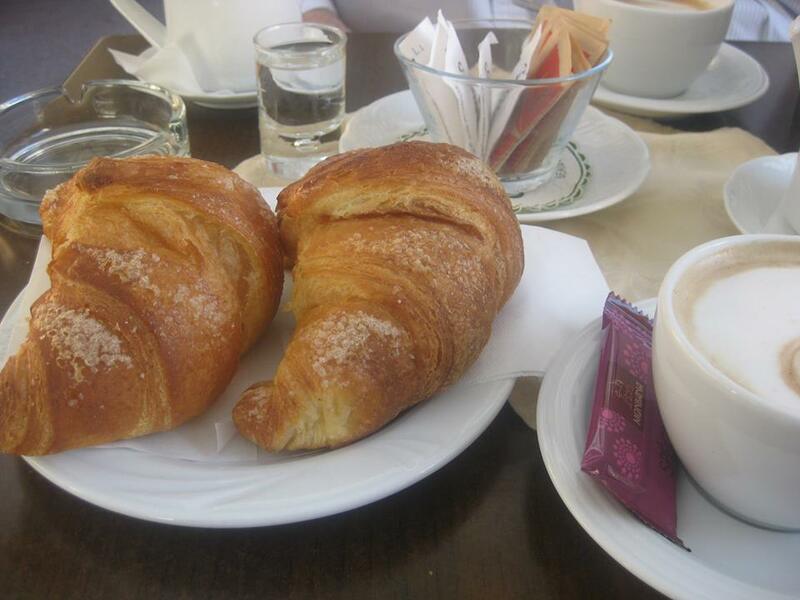 Living full time in France, keeping the weight down is much easier because, well, croissants, cheese and foie gras are just food we see everyday and relegate to certain times. When you travel you should enjoy!!! And we don’t have our days free to ogle the food in the shops and eat like we do on vacation. Gosh now I want to get back to the US! Does being on “vacation” make a difference? If so, how to add balance, less stress and pleasure to our daily American lives? I am not surprised you didn’t gain weight – my sister just returned from Provence and ate like you and mentioned similar activity – her weight gain = 0. No kidding! The stress thing is probably huge! Thanks Wini!!! Oh how fun. I sent you a FB message with my address etc. Can’t wait to get these. P.S. 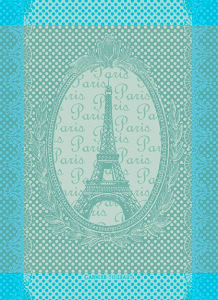 I’m glad you didn’t gain any weight: I definitely agree that 3 courses in France = 1 here. I rarely gain either….one is definitely very active there! Splitting my time between France and NY, I always seem to lose weight in France, eating and enjoying. After careful thought as to why…. in France I do not graze mindlessly nor am I in & out of the refrigerator all day. Just not a very “french” thing to do. That was an epiphany for me–eating between meals is such a rare thing in France (not counting le gouter–the four o’clock snack for kids, but that’s another story). I loved reading this and think there are so many variables. I recently returned from 2.5 weeks away, which included a week in Paris, time in London and the southwest of England and I didn’t gain an ounce, even though as you, I indulged in all kinds of foods I would refrain from eating here at home. Being on vacation for me usually means more time for enjoyable exercise (walking and yoga), less stress, slower paced meal and less mindless snacking – all important factors when it comes to weight loss/maintenance. And who knows, maybe our metabolism speeds up when we are happy! Ohhhhh….I like the “metabolism speeding up when we’re happy” theory! Thanks for that! Wini: I got home last night and there were my wonderful kitchen gadgets! Thank you. Even my husband, the non-cook, likes the measuring cups!!! Aren’t the measuring cups pretty? The colors are just so vivid.